If you would like to life a happier and more joyful life, do yourself a favour and don’t compare yourself to the people around you. You are special. You are unique. You are one of a kind. Everything that happens in your life happens for a reason – you may learn a lesson, gain experience and get to another level. Social Media can be a big disruption of living a joyful life for many of us. While I like to watch other people’s trips to get inspiration where I want to go next, others will get depressed because they feel it is too far out of their reach. Now how can you increase your awareness about how often you compare yourself to others? Make a list if you have people in your life who you frequently envy – how do you know that it isn’t a facade and that their life is so much better than yours? Always remember to live life happy and with joy. 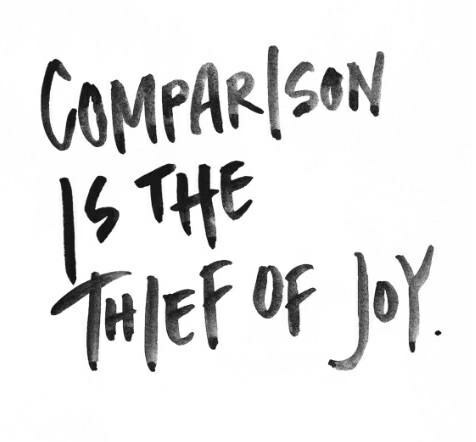 Comparison isn’t part of it.